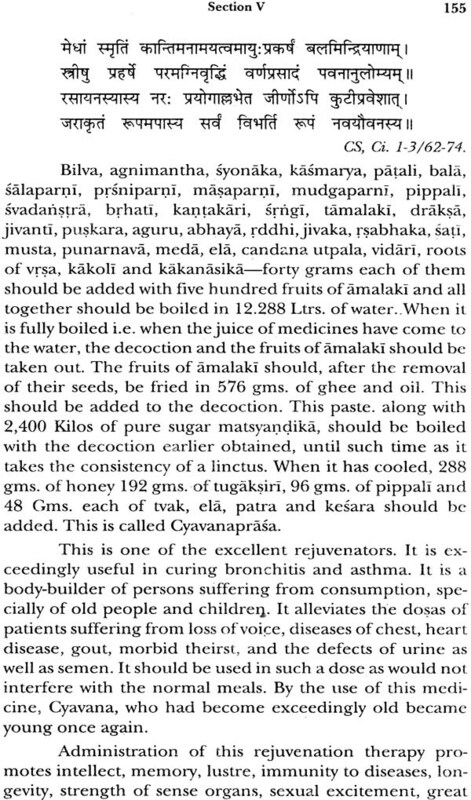 Longevity is human desire, and quest for long and happy life has oldest history in India well-supported by Vedic Sources and vast oriental sources of Indian literature. 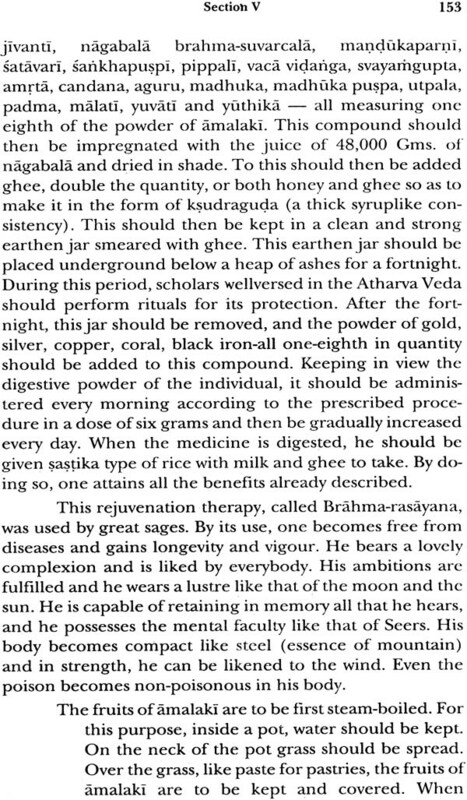 Gradually the theory and therapy had developed in the field of medicine in the form of independent branch of medical science of India. 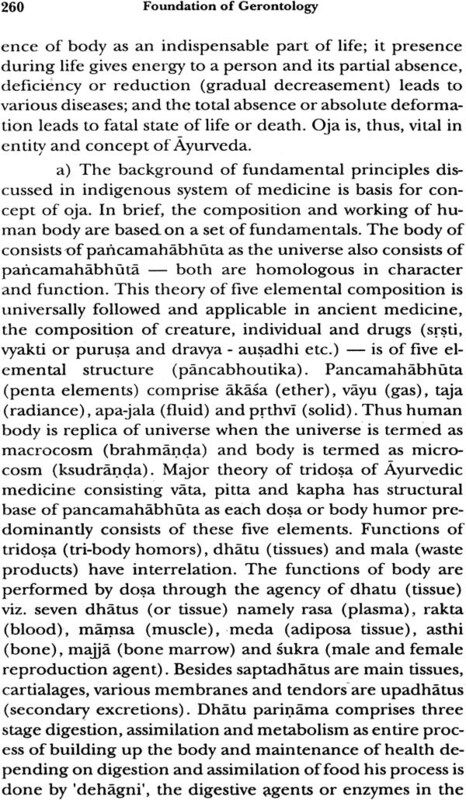 The Ayurveda, as astangayurveda (eight branches of Indian medicine), comprises rasayana tantra separately. 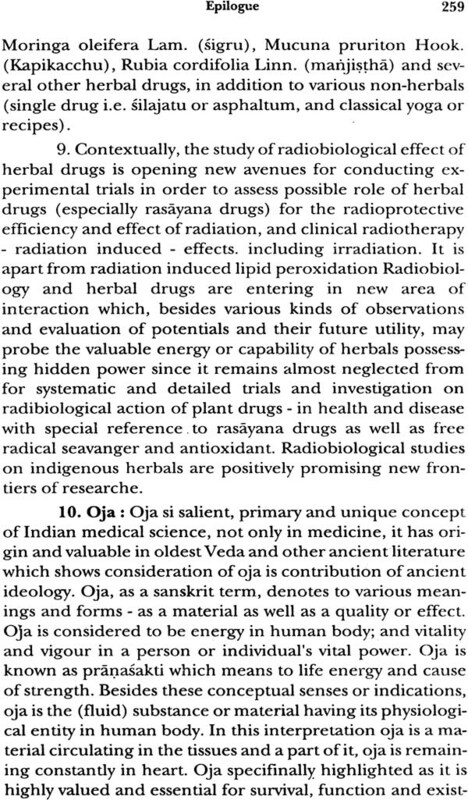 Its vital significance, wide scope and pivotal role in health and diseases have made it a most valuable, applied and comprehensive branch of medical system, opening new-horizons. 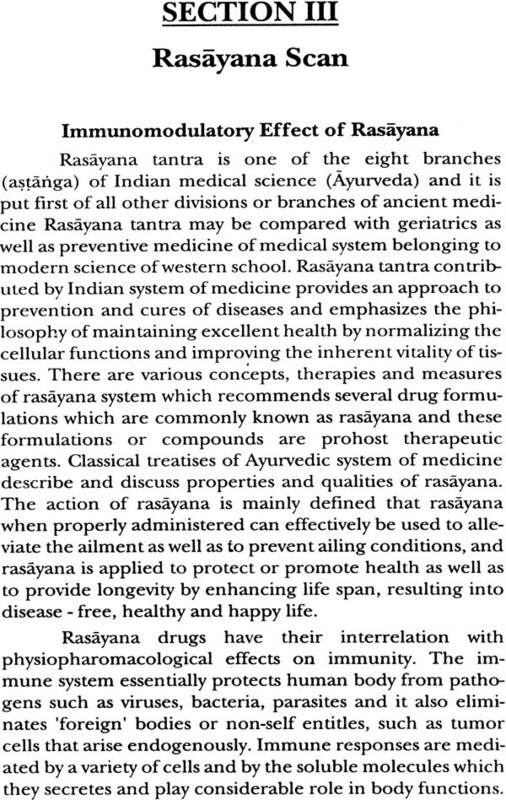 The medical and health system generally equate and relate rasayana tantra of Ayurveda with gerontology and geriatrics of modern science and medicine. 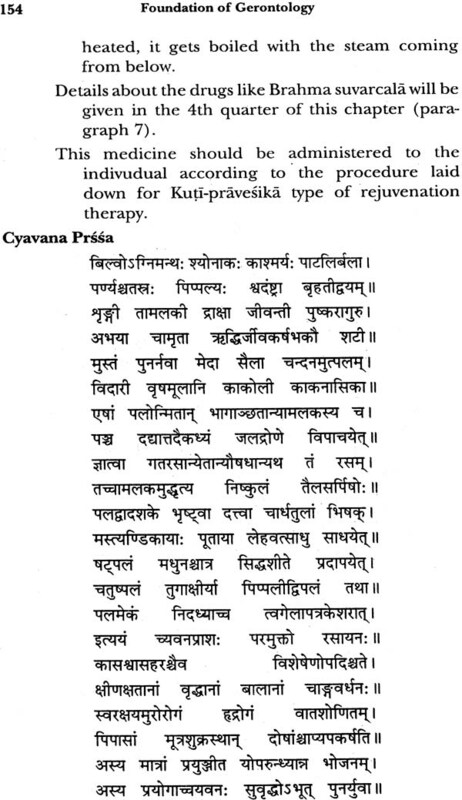 Accordingly the rasayana, one of the divisions or areas of indigenous medical system, is commonly put as geriatrics or gerontology (or alike) in modern terminology, and the geriatrics is rasayana vidya or tantra belonging to Ayurveda. 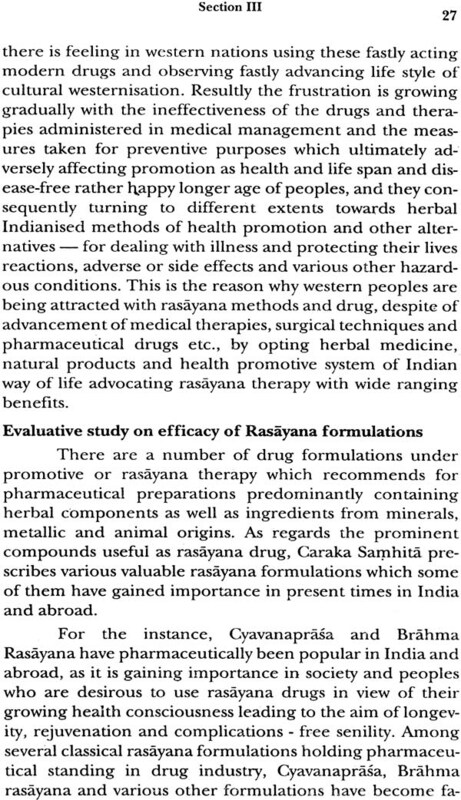 This common conception needs to be rethought and modified after making in-depth study of phenomenon, concept and practice of rasayana, by adding unique ideology, specialties and excellent contribution made by Indian school of thoughts in the field of medicine, with special reference to rasayana which deals with science of geriatrics (study of senility and senile health care system) as well as science of nutrition (posana) which covers vast areas of health and medicine, actually from paediatrics to geriatrics. 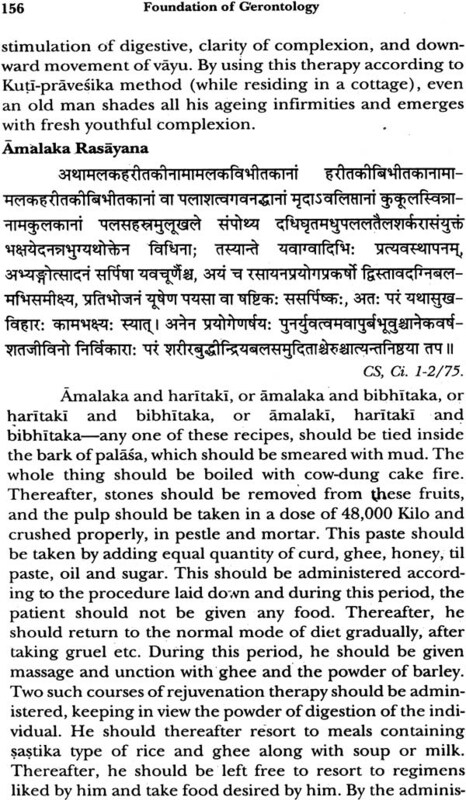 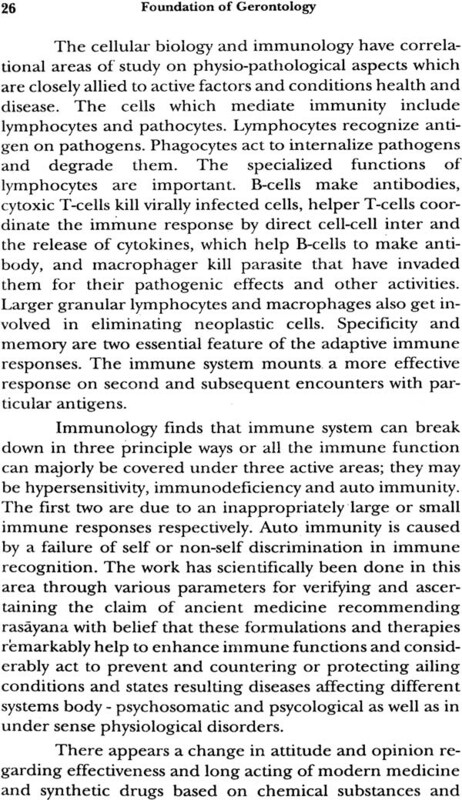 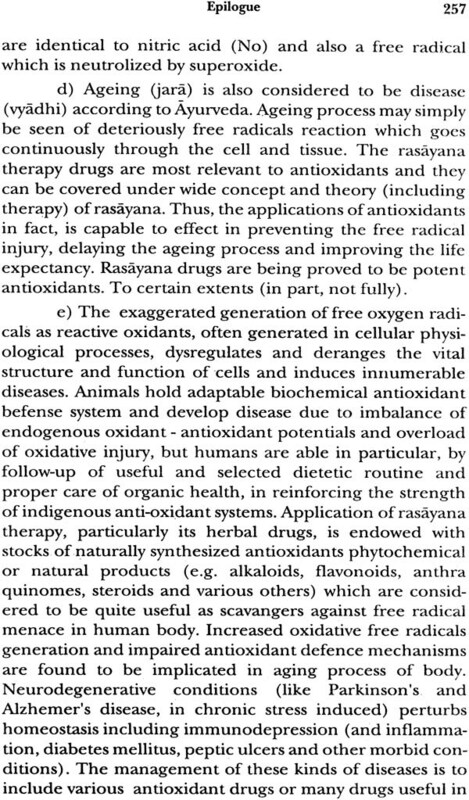 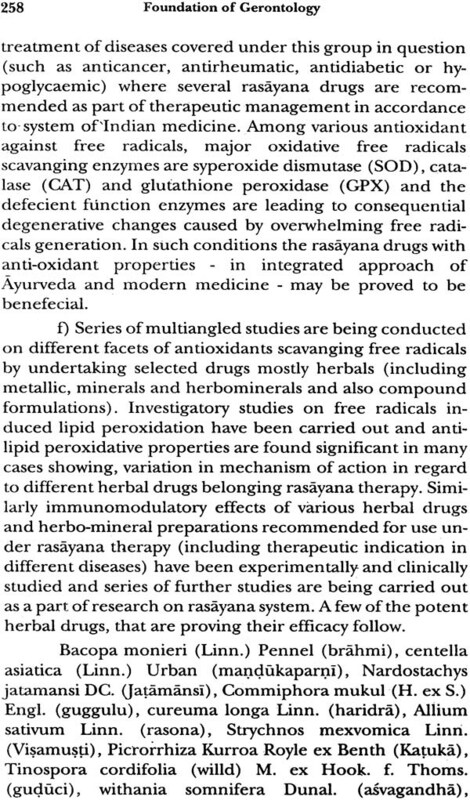 Indian medicine, based on rich Indian knowledge preserved in rich heritage of arts and sciences, has creditably contributed rasayana as a boon to human beings (even to animals) as a result of unparallel discovery made by ancient thinkers of great India, playing pioneer role in evolution of medicine including rasayana vidya which has applied role and significant utility in health system as well as clinical medicine, paving new avenues. 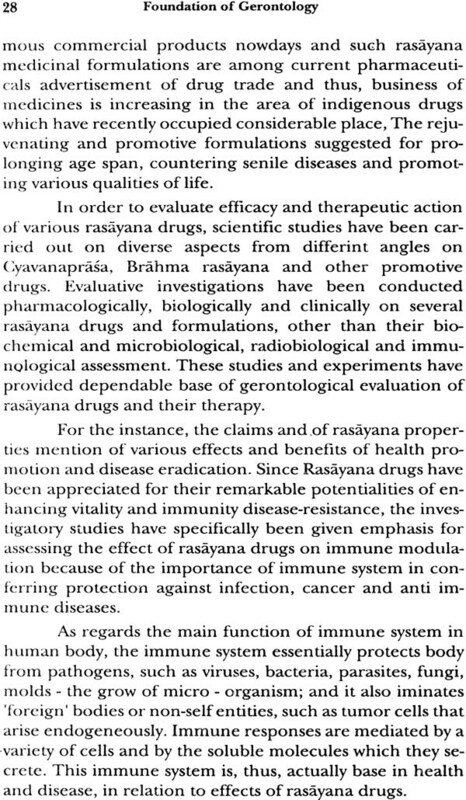 Really India deserves credit to lay the foundation of gerontology or geriatrics which has wide scope of scientific development and advancement in medicine with Indian feed back in contemporary trends, entailing contributive vistas.